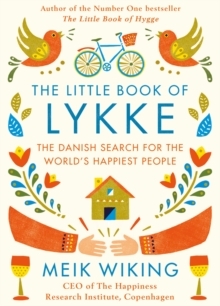 **THE INTERNATIONAL, NEW YORK TIMES and SUNDAY TIMES BESTSELLER, WITH OVER HALF A MILLION COPIES SOLD AROUND THE WORLD**Denmark has an international reputation for being one of the happiest nations in the world, and hygge is widely recognised to be the magic ingredient to this happiness. Hygge has been described as everything from "the art of creating intimacy", "cosines of the soul", "the absence of annoyance" to "taking pleasure from the presence of soothing things", "cosy togetherness" and "the pursuit of everyday pleasures". Hooga? Hhyooguh? Heurgh? It is not really important how you choose to pronounce or even spell 'hygge'. What is important is that you feel it. Whether you're cuddled up on a sofa with a loved one, or sharing comfort food with your closest friends, hygge is about creating an atmosphere where we can let your guard down. 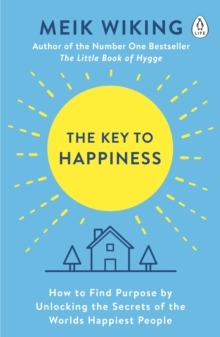 The Little Book of Hygge is the definitive, must-read introduction to hygge, written by Meik Wiking, CEO of the Happiness Research Institute in Copenhagen. 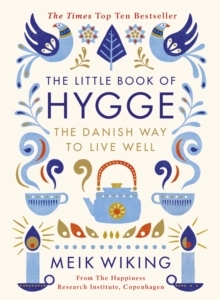 The book is packed full of original research on hygge, conducted by Meik and his team, along with beautiful photographs, recipes and ideas to help you add a touch of hygge to your life.